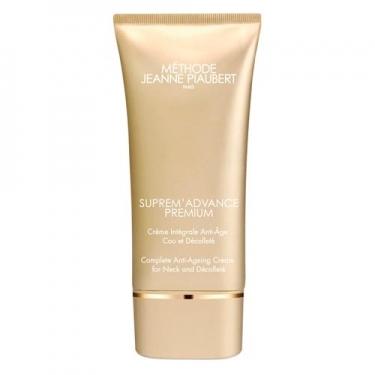 DESCRIPTION: Suprem Advanced Premium Crème Intégrale Anti-Âge Cou et Décolleté from Jeanne Piaubert is an anti-aging neck cream and neckline that fights the main signs of aging. 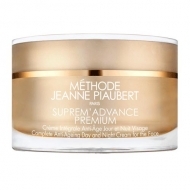 It is a powerful care that fights against the main signs of aging, especially blemishes and glow of this delicate area. The Globaltech-5 complex effectively fights against the great signs of aging: wrinkles, sagging, spots and malnutrition. 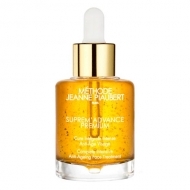 The papaya extract provides a natural glow to the skin and softness, thanks to its "peeling" action. Apply morning and / or evening on neck and neckline.